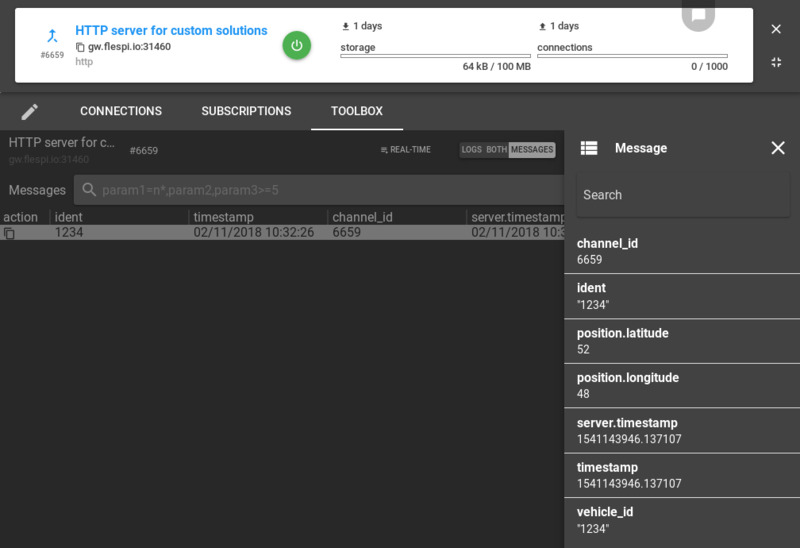 How to send messages to telematics hub from my custom solution via HTTP? Putting the telemetry data from a third-party app into the flespi channel. The entry point to the Telematics Hub is a channel. 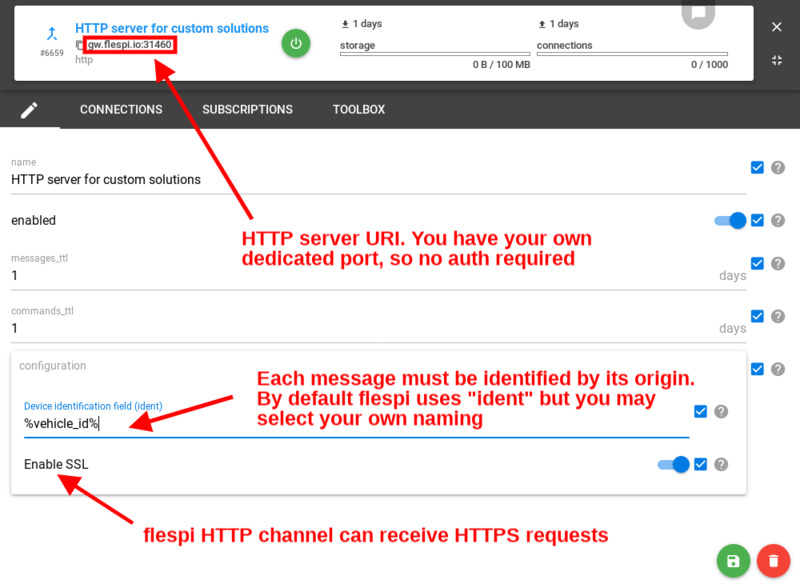 The channel operated over HTTP protocol is ab HTTP server capable to accept special requests with messages to Telematics Hub. Data - JSON array of objects. Each object represents a single message. To be accepted by Telematics Hub message must be identified. There must be a field in the message that will be treated as the message origin identifier. By default you may use “ident” name which is native for flespi. 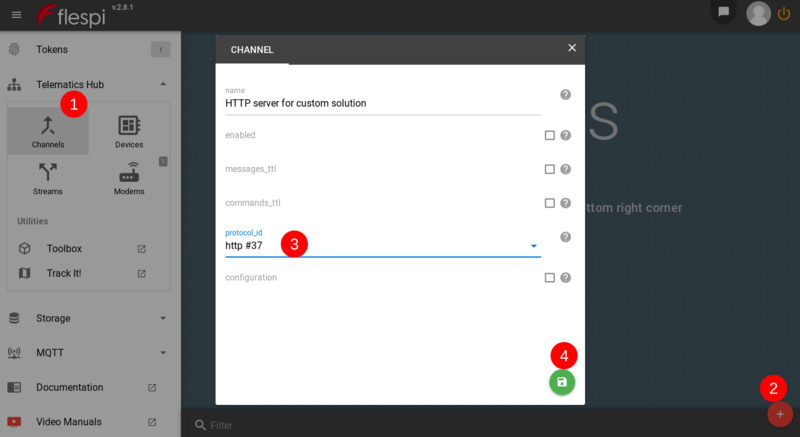 However, in channel configuration, you may specify any custom field name. If you want the parameter naming of your custom messages to be in sync with parameters accepted by other channels, use standard flespi parameter naming. E.g. if you want to pass the object’s latitude and longitude and see it on TrackIt, use parameter name “position.latitude” and “position.longitude”.